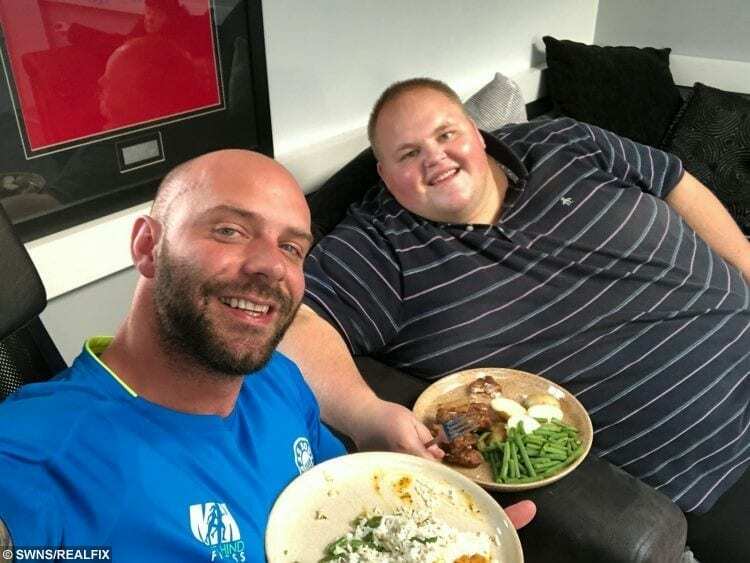 A personal trainer is helping his overweight client to lose weight – by getting him banned from all his favourite takeaways. Mike Hind has toured all Darren McClintock’s regular fast-food stops with a flyer featuring his picture and asking staff not to serve him. He took the drastic action after doctors warned 27-year-old Darren – also known as Dibsy – that he was ‘eating himself to death’. 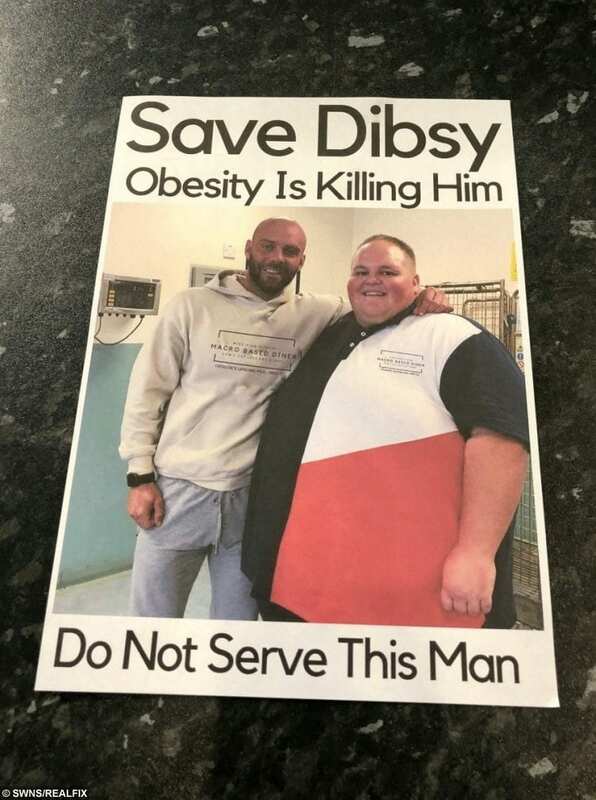 Dibsy, who does not want to disclose his weight, was eating pasties, chips and pies daily before being given the urgent wake up call when he was hospitalised with heart problems. 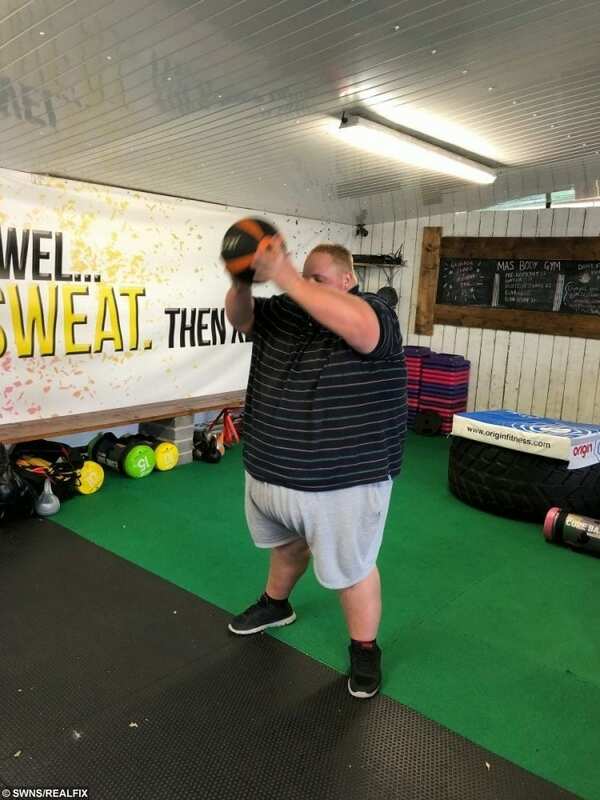 He has now embarked on a healthy new lifestyle with the help of award-winning personal trainer Mike. The two of them have have gone around their hometown of Middlesbrough handing out posters to all Dibsy’s favourite restaurants. At the moment Dibsy has to book two seats on planes and order specially sized clothing that costs extra. He was served the wake up call after being admitted to hospital because his heart was beating too fast, when he says he could have died. Dibsy said: “I’ve struggled with my weight since I was a teenager but this year it’s declined massively. “Instead of picking the healthy option I would always go for what I liked, stuff like pies, pasties, crisps and chips. “It got to the point where my legs and back were aching all the time and I ended up in hospital. “The doctor asked me if I want to live a long life and said I can’t go on the way I am or I’d be dead before too long. “Seeing my mum’s reaction to it all was heartbreaking, if it wasn’t for that I might never have changed. He added: “I have had a lot of finger pointing and laughing over the years and I was bullied at school. Each year personal trainer Mike takes on a client for free. 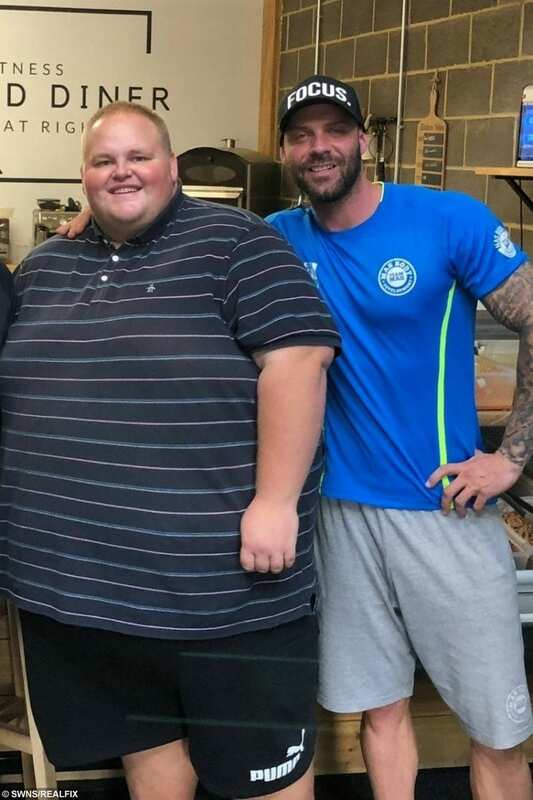 They’ve only been working together since the weekend but Dibsy has already lost 1st 7lbs. Mike, who runs a healthy food company called Macro Based Meals, is also providing fully tailored and prepared meals for Dibsy everyday. He said: “Dibsy is a great guy but unfortunately he hasn’t taken care of himself properly. “I was really affected by his story and motivated to help him so he can turn his life around. Mike thinks it could take up to a year for Dibsy to get down to a healthy weight.